He shoots, he scores!!! 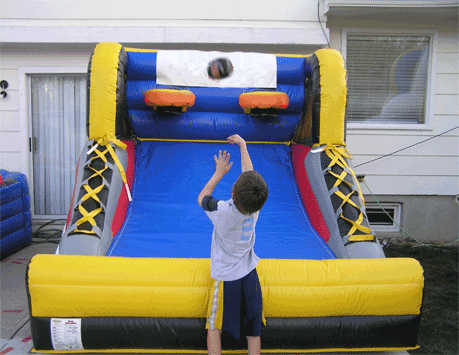 This shoot out is a perfect addition to any indoor or outdoor event. Players line up to take their shot at the dual hoops for plenty of action, fun and competitive spirit using 5″ mini basketballs.